Overnight fog and condensation created water droplets over these corn lilies. 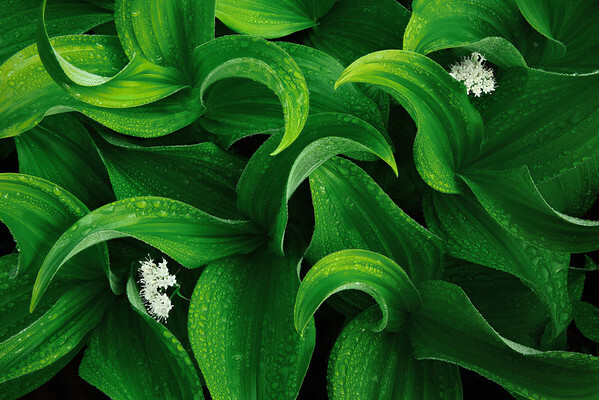 With twisting and curved leaves, the corn lilies are most beautiful before they bloom. On occasion small flowers grow intertwined among the lilies.